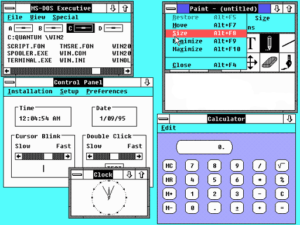 There were a few revisions of Workbench 1.3, with the last official release being Workbench 1.3.4, the last of the official version 1 Workbench versions before System 2 (Kickstart 2 and Workbench 2), although there were alpha and beta versions of Workbench 1.4 and Kickstart 1.4. 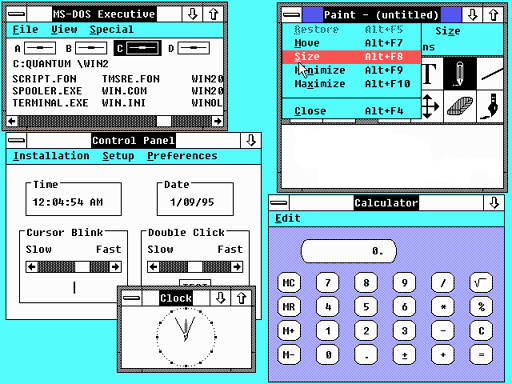 Visually, while Workbench 1.3 retained the same default colours as the previous versions of Workbench, the first thing that is obvious is that the icons have been redrawn, with many of them having a pseudo 3 dimensional look to them. Most icons now also have an alternative image when they’re selected, instead of just inverting the colours used. The drawer icons show an open drawer when they’re selected, and Trashcan icon has it’s lid open when it’s selected. It all looks much nicer when compared to the look of the default Workbench 1.2 icons. 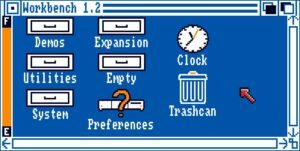 Also, the floppy disk icons now look much more like actual floppy disks, with the distinctive Amiga rainbow tick (but as Workbench only displayed in 4 colours at this point, it wasn’t in the rainbow colours) on the disk label for the Workbench and Extras disk icons. 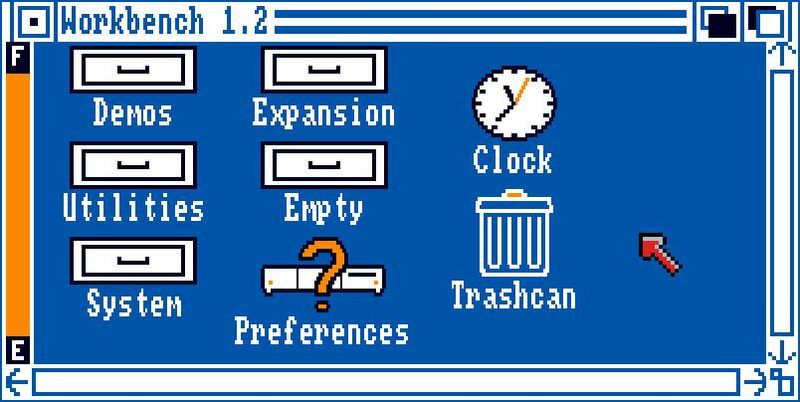 The Prefs icon changed to that of a drawer, as now there were separate icons for several pages of the Preferences editor, such as the mouse pointer editor, and the preferences for the printer. 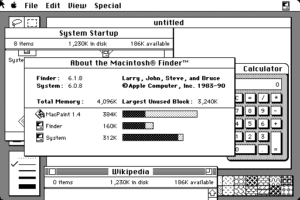 Also the ability to copy the preferences to a different disk was added. 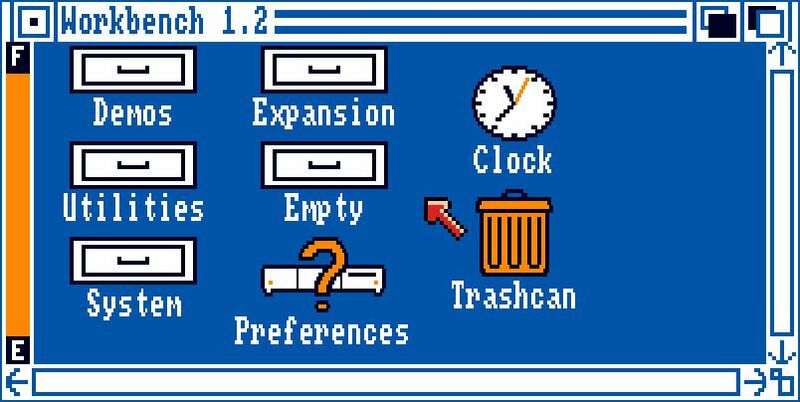 Workbench 1.2 Disk contents, Prefs icon selected. 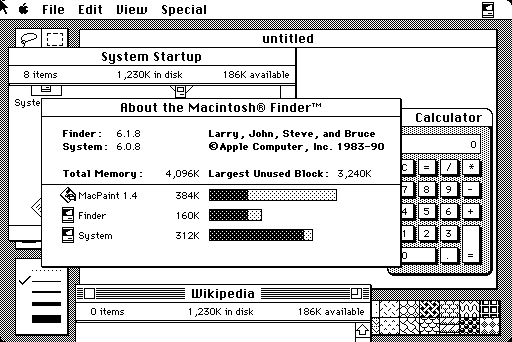 Workbench 1.3 Disk contents, Prefs drawer selected. Workbench 1.3 Prefs drawer contents. 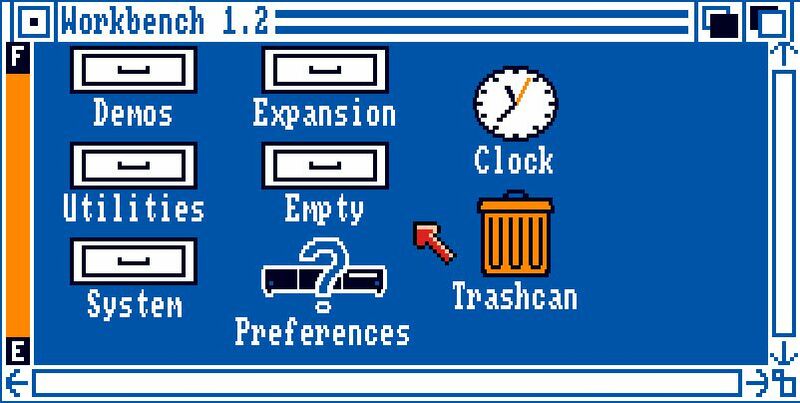 Workbench 1.2 Disk contents, Trashcan icon selected. 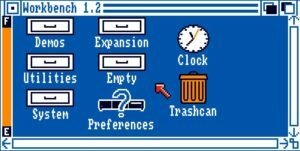 Workbench 1.3 Disk contents, Trashcan icon selected.